These handlebars have no gussets in the corners with the 4 holes. 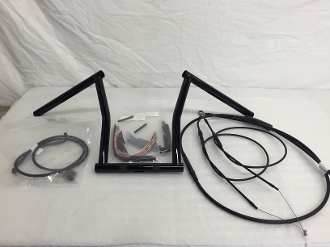 Handlebar installation kit included!! NON-ABS models only! This kit based on using 2" risers. Note: This will ship in a day or 2 after ordered or sooner due to high demand.